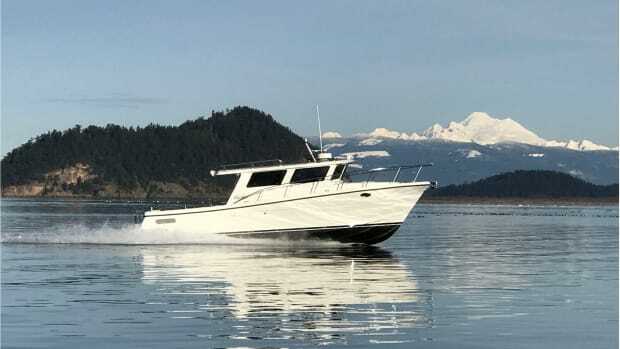 Scheduled to release this fall in the United States, the TT35 is designed to be equally adept at running over water as running over pavement, assuming her owner carries a standard over-wide transportation permit. 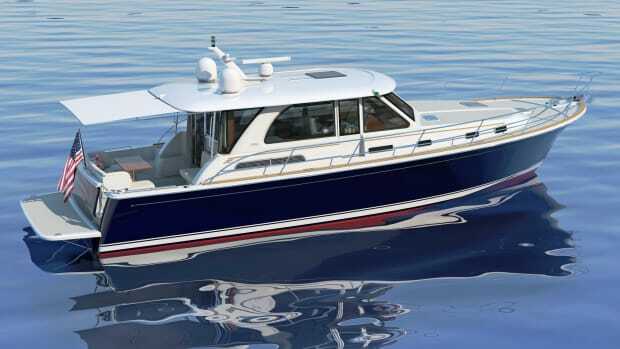 The 35 is a completely new design for Great Harbour, featuring twin outboard engines rated between 60 and 100 horsepower each, as well as a meager 16-inch draft so you can navigate all the skinny waters from the Mississippi to the Bahamas. 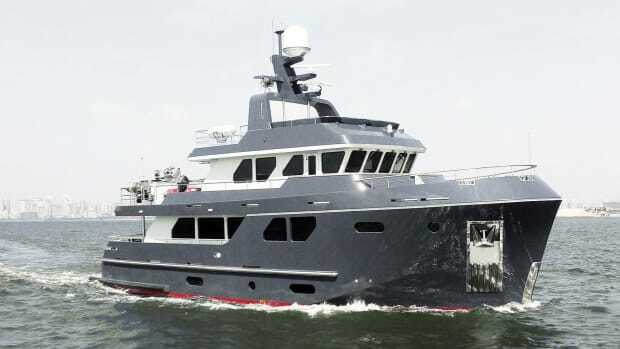 At the top end of the projected speed and range curve, Great Harbour expects cruising speeds between 8 and 16 knots, and corresponding ranges between 500 and 800 miles. 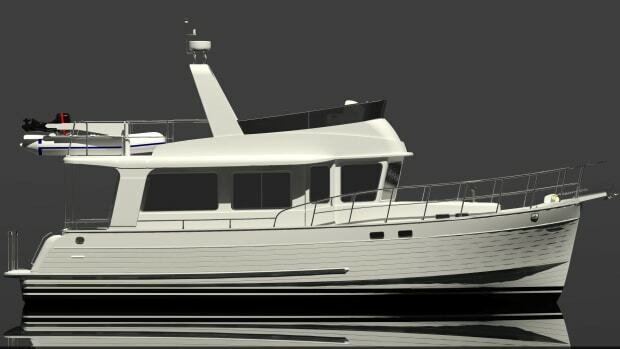 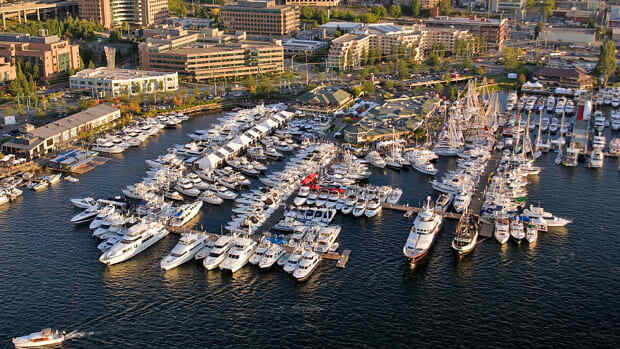 One of the reasons for the optimistic range expectations lies with the boat’s displacement. 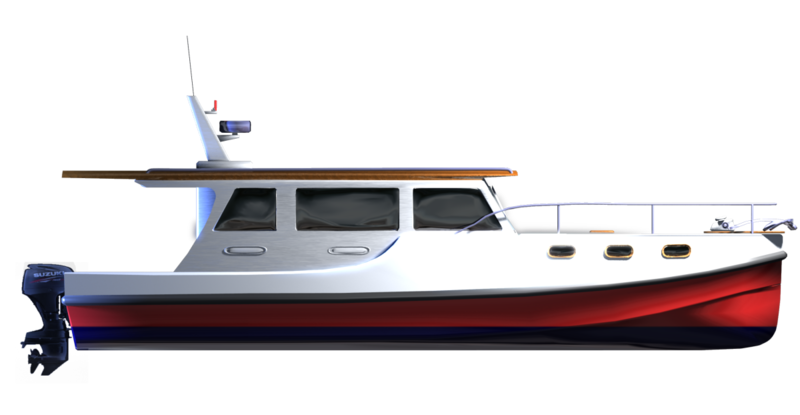 Using a combination of composite coring and aramid fabrics, Great Harbour projects this 35-footer to weigh in at just 6,000 pounds. 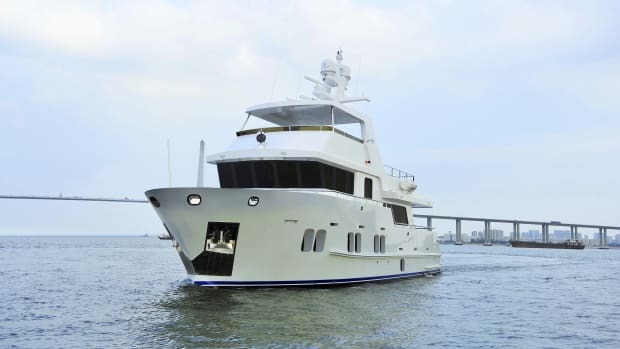 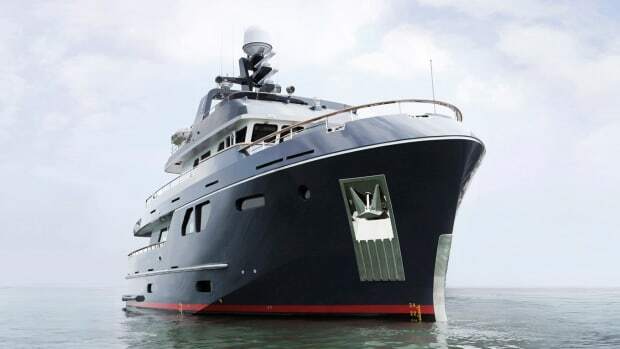 On board, the boat features a single master stateroom and long galley as well as a roof overhanging the afterdeck for protection from the elements. 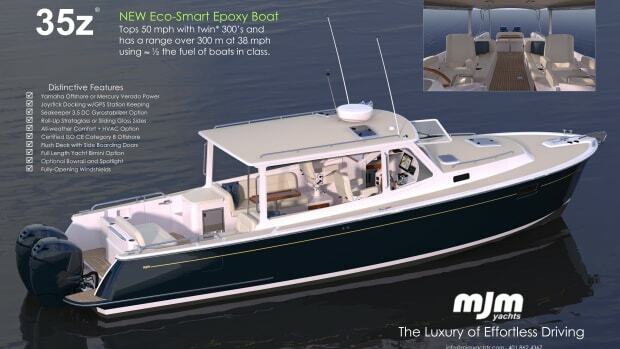 The flat roofline will support plenty of square footage for a solar array.